It's written in AppleScript (haha) and should work on every Mac running os x. Last edited by Square on 17 Aug 2010, 19:01, edited 2 times in total. Last edited by Square on 17 Aug 2010, 18:48, edited 1 time in total. Good work, but odin's mod manager should work with OS X. Note: I don't think its been tested on that platform yet. Note: Don't use my version Odin's one is better. Oh my god, I love you more than you know. Wait, did someone say there's a better version? I like the thought of just dragging the .wz file onto a shortcut to install it. It's just a shame I don't run OS X! 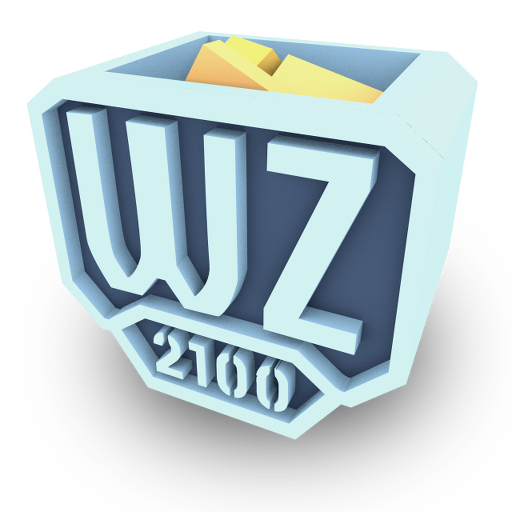 Wibble199 wrote: I like the thought of just dragging the .wz file onto a shortcut to install it. It's just a shame I don't run OS X! Thats easy on windows too. A simple registry change is all thats needed. In a day or so and I'll post a .reg file. After five years, here comes Version 2. All the functionality in one app. * Install Mods like ArtRev, BPRebalance, Contingency, etc. Also please tell me any errors, if you spot one. The source is in the .app bundle, the code is licensed under CC-0. The logo is a variation of the Warzone Programm Logo, therefore GPLv2 I guess (?). * Batch-Install of maps doesn't work. Not sure if fixable: "on open" handler broken?! Last edited by Square on 07 Feb 2015, 18:21, edited 2 times in total. Hey, does it handle installation of the sequences.wz?